The fee adds to the current per mile fare of £1.25. Uber is reported as being “keen to expand” the initiative to other UK cities. 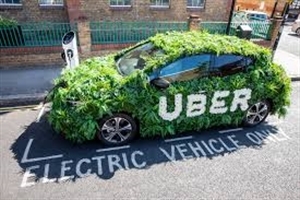 It says that a London driver using the app for an average of 40 hours per week will be given around £3,000 towards the purchase cost of an electric car in two years. The London mayor Sadiq Khan introduced a £10 toxicity charge for older, more polluting vehicles in the centre of London in October 2017. Last June, Uber was granted a short-term operating licence in London after its permit to operate was initially not renewed over safety concerns.